HomeAdditionPlus.com offers a free home improvement service called “HouseSight” to homeowners and contractors. HouseSight enables homeowners and contractors to showoff and manage their home improvement projects. It’s also a great location for contractors to market their home improvement business for free and to generate business leads. “HouseSight” is a home improvement themed social networking environment that enables homeowners and contractors to post and manage their home improvement projects and home remodeling businesses via the creation of custom project web pages. On each home improvement or remodeling project web page HouseSight members can post project photos, descriptions, and even videos. They can also interact with other HouseSight members to share home remodeling experiences and knowledge. HomeAdditionPlus.com/HouseSight receives 200K+ visitors per month and is seeing rapid growth. Consequently, using HouseSight is a great way for contractors to gain visibility to their home improvement businesses and company services and attract leads. If you think you may be interested in this free service just go to HouseSight and register today. 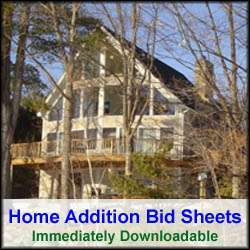 If you have any questions on HomeAdditionPlus.com and HouseSight, feel free to contact me.